Today’s Pappy of the Day is Stephen Wolfe. I have to admit, Stephen is a friend of mine. He also gives some of the best parenting advice around. Trust me, if you need to be talked off the ledge, Stephen is the person to do it. He is amazing with his kids, but like they said on Reading Rainbow, you don’t have to take my word for it. Stephen is more than a good dad. He knows his children. He can do more than name our four kids favorite colors. He truly knows each of them. He takes time to listen to them. He doesn’t just pretend to care, he really does care. When our children go to their dad they know their is nothing that can remove his love for them. He is a soft place to land. He prays with them when they are struggling and leads them to Jesus. There have been countless times in frustration during parenting that we have gone to God in prayer over our children. He knows that God has the answers and loves our children more than we do. Stephen is constantly taking care of the physical and emotional needs of myself and the kids. Stephen thinks of the needs of others before he considers his own. When I am with my husband I feel like the most beautiful woman in the room. He supports my devotion to be a stay at home mom and says I have the most important job in the family. He works hard to see that we have what we need financially to raise our children from home. I know that he has made many sacrifices, and I know that someday my children will do the same for their children because of his example. Our kids- Emma, Elijah Lily, and Laurel are blessed beyond measure to have such a kind,humble, and honorable man as their father. Congrats to Stephen! 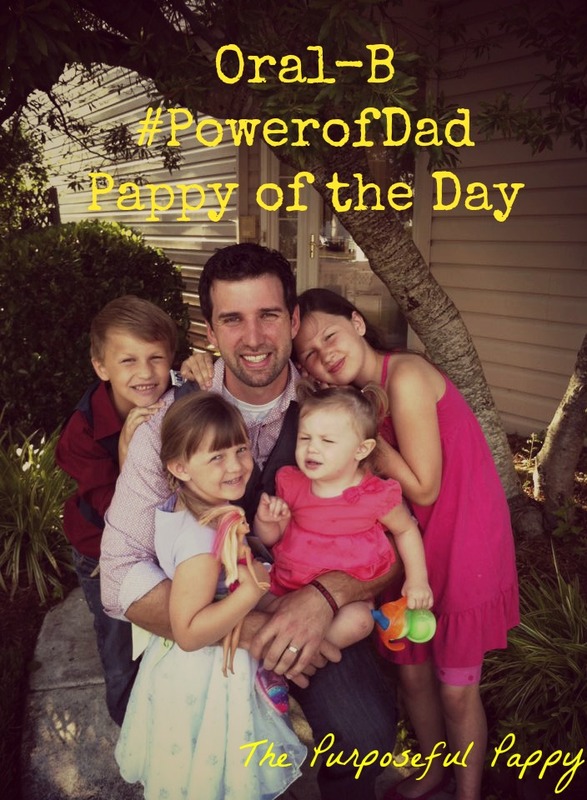 A truly deserving Pappy of the Day!